Tony Lowe’s ESP Project is back with four great new tracks. 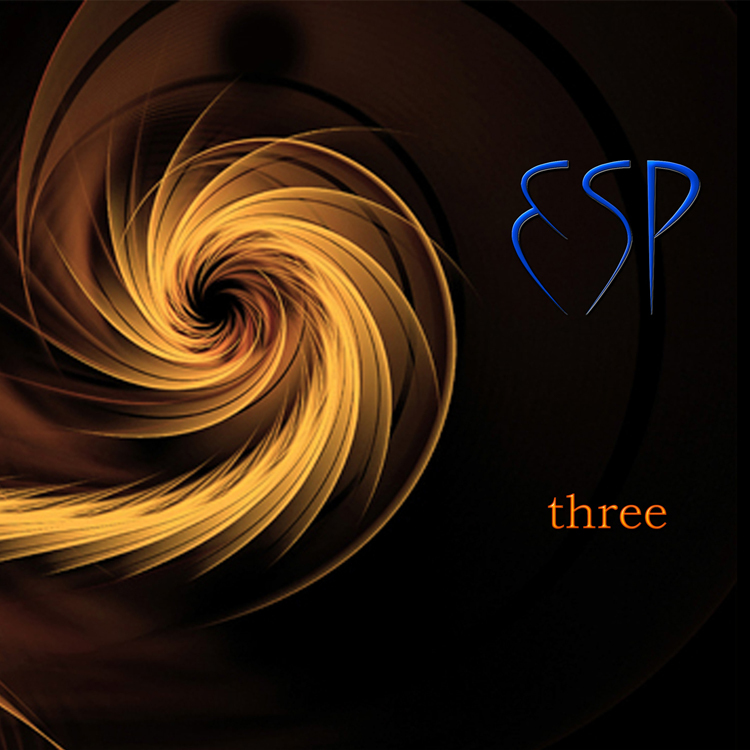 Titled ‘three‘, the new EP contains over 30 min of progressive rock and is out on 19th January. ‘three’ has all the hallmarks of the first two ESP releases, with Tony’s symphonic compositions and arrangements weaving in and out of evocative and passionate vocal sections, delivered with both sensitivity and power in all the right places by Damien Child, an accomplished actor and singer with many years experience in TV, Radio and West End Theatre. With Greg Pringle on Drums and Pete Clark on Bass this is a formidable combo of accomplished musicians playing with heart and soul. Threaded through by Tony’s unmistakeable guitar and keyboard playing, a must for anyone who liked the previous two albums, which together were given over twenty-six, 4 – 4.5 star reviews by the music press and voted into the top 10 Progressive Rock – albums of the year as well as in top 20 albums of 2018. ‘22 LAYERS OF SUNLIGHT’ – written and performed by Tony Lowe and Peter Coyle (ex-Lotus Eaters) with Mark Brzezicki on drums, Pete Clark on bass. Coming after the successful debut of the first ESP album ‘Invisible Din’, the 2016 release which earned over 14 top reviews by the music industry; this incarnation features Peter Coyle, who was recently described as ‘one of the most under-rated singer/songwriters in the UK’. Joining forces with renowned composer/producer Tony Lowe to write these deeply evocative and stunningly original songs, merging passionate vocals and intricate soundscapes. Sometimes using complex rhythmic structures – supplied by ace session drummer Mark Brzezicki, overlaid with modern progressive rock elements and orchestral movements, the music creates an intense, dramatic but ultimately uplifting experience. For more information – ESP 2.0 – The Back Story. Peter Coyle – formed The Lotus Eaters in 1982. He is best known for the international hit The First Picture of You which still enjoys regular airplay on many radio shows today and remains a firm favourite with both old and new listeners. He left the band in early 2017. Peter has written and recorded with Toyah, The Lightning Seeds’ Ian Broudie, Space’s David Yorkie Palmer, OMD’s Mal Holmes. A talented producer, he has worked with Steve Power (Robbie Williams, Julian Cope) Ronnie Stone (The Pixies) and has composed for the film (Powder 2011). He also recently worked with Heaven 17’s, Martyn Ware, where he performed at the National Portrait Gallery in London – continued. Tony Lowe – Guitars with Simon Townshend, Roger Daltrey, Modern English, Julian Lennon and many more. Producer to ‘David Cross & Robert Fripp’, John Foxx, Toyah, Bram Stoker, Simon Townshend and more. Currently producing Pete Banks tribute album ‘Crossover’ featuring David Cross and members of King Crimson and Yes. Mark Brzezicki – Drummer with Big Country, Phil Collins, Pete Townshend, Sting, Procol Harum, The Cult and Midge Ure. Pete Clark – Bass – has played in many original bands since the early 1980’s. His taste in music is eclectic but a constant favourite has always been progressive rock. This interest has led to his current involvement with tribute bands “What The Floyd” and “Progfathers”. 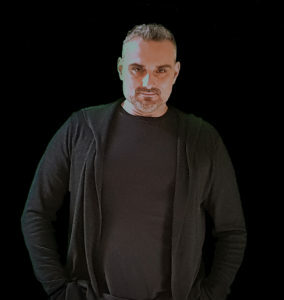 He has been a professional musician since 1989 and has performed with numerous cover/function bands including T-BASS where he met his singer/songwriter wife, Fran. Together they set up their own label and have produced and released two solo albums for Fran, “To Fly” (2007) and “Beautiful People” (2013). Richard Smith – Keyboards – trained as a classical organist and harpsichordist, studying all over Europe and giving solo recitals in many cathedrals. Until recently he made is living principally as a choral and orchestral conductor but has recently discovered the joys of playing rock’n’roll. He is also the keyboardist for the Pink Floyd tribute band What The Floyd and The Rube Goldberg Machine. ‘Invisible Din’ – THE ALBUM is a unique symphonic, progressive rock concept album – a collaboration with musicians from King Crimson, Van der Graaf Generator, Big Country – Procol Harum, GTR, Lifesigns, and Landmarq, among others. Released on 11th November 2016, the music can be compared to Genesis, King Crimson, Yes and Peter Gabriel. ‘Invisible Din’ is written and produced by Tony Lowe who recently co-produced the ‘Starless Starlight‘ album by David Cross & Robert Fripp and ‘Cold Reading‘ by Bram Stoker. Tony Lowe and Mark Brzezicki are at the forefront of the album project and a core band, which will be playing live events with special guests from the world of Prog. ESP 2.0 Photo credits – NEW-photos by String (Cheryl Stringall) and Lou Dommett Young as watermarked, those with and without watermarks – Cheryl Stringall.